The self titled album from The Eastern, bringing together songs from two earlier EPs with a few new numbers, doesn't break any new ground for the band but that doesn't matter because their road worn Americana is very welcome. The album was recorded in the sitting room with friends and family and that atmosphere of warmth pervades. Acoustic instrumentation including mandolin, banjo, double bass, lapsteel and guitar add to that feeling, but that doesn't mean the album is subdued. 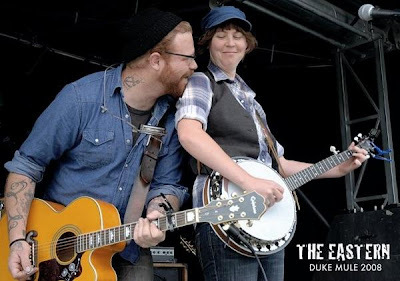 The Eastern often play in Lyttleton and they have the passion and energy that a live crowd in a port town demand. Check out an interview on Plains FM in Christchurch and a neat photographic journal of the band (set to their music) on the video page. David Kilgour has a long line of acclaimed solo albums, not to mention being a member of The Clean. His latest is a collaboration with legendary New Zealand poet Sam Hunt. 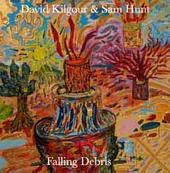 Originally envisaged as a spoken word and music collaboration instead the album that has emerged, Falling Debris, takes the words of some of Hunt's already published poems and sets them to Kilgour's music. Accompanied by his regular band The Heavy Eights with a mainly acoustic line-up, Kilgour doesn't deliver many music surprises here but combination works well. This isn't Hunt's first musical collaboration - he released a solo single 'Your Body has No Flaw' in 2001, he's appeared on tracks with The Warratahs and he released an album with prog rock band Mammal in 1974 (that album sells for hundreds of dollars, if anyone has a recording of it I would be very grateful to hear it). On David Kilgour's website there are downloads of songs from the album, a background piece by Kilgour and videos for two of the songs (also on the video page). Also check out an interview with Sam Hunt recorded earlier this year on the collaboration. 'Home' is the debut single from Wellington band Stormbird, a four piece centred on songwriter and vocalist Ana Mules. Live they range from folky, country tinged numbers to indie pop-rock. The band has been through a line-up changes with Mules and original bassist Rochelle Berry joined by a new drummer Cyrus Manlunas with the recent addition of lead guitarist Phil Sanders filling out their sound. 'Home' captures the band at the poppier end of their spectrum. There's a video for an earlier song '1, 2, Complain' on the video page. 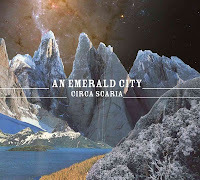 The new album from An Emerald City, Circa Scaria, is only just out and is already the stuff of legend due to have being recorded in a cave at Whatipu. The music seems well suited to those rugged West Coast beaches, with most of the instrumental songs building into epic soundscapes with the power of the wind and surf that crashes onto the black sands. Remarkably the album has reached the Top 40. Not remarkable because it doesn't deserve to be there, but because it is so unlike the commercial fare which the charts usually consist of. An Emerald City meld Eastern instrumentation like the tablas, lute and sitar with a more customary rock format of guitars and drums. Their songs are all instrumental and build in power and intensity, in a way similar to the great Napier band, Jakob. An Emerald City are unlike anyone else on the local music scene, making music which is epic, thrilling and surprising. Watch a TV3 story on the band on the video page and check out a live recording from National Radio (stream).